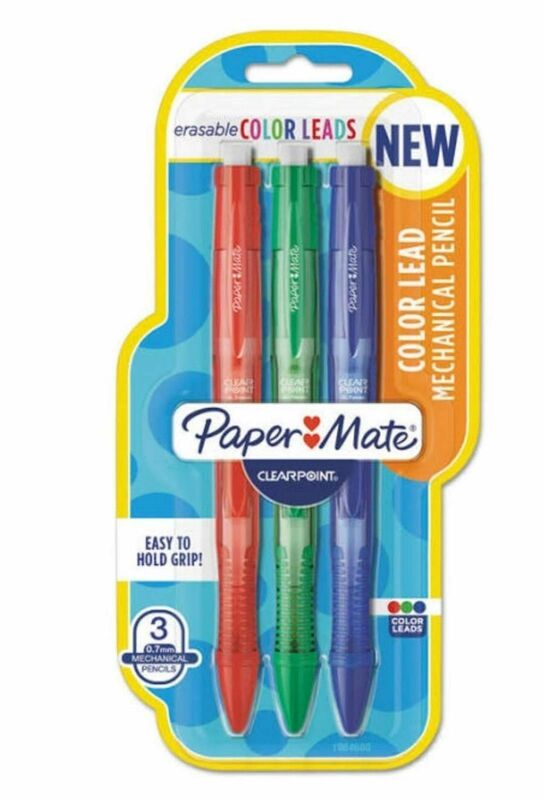 Paper Mate Clearpoint Color Lead Mechanical Pencils, 0.7mm, Assorted Colors, 3 Say it in vibrant, erasable color and keep the good times going with plenty of extra leads and eraser refills. The mechanical pencil refill packs stock you with plenty of supplies for nonstop note taking and creative expression. Extra jumbo mechanical pencil erasers help ensure that you enjoy endless writing.